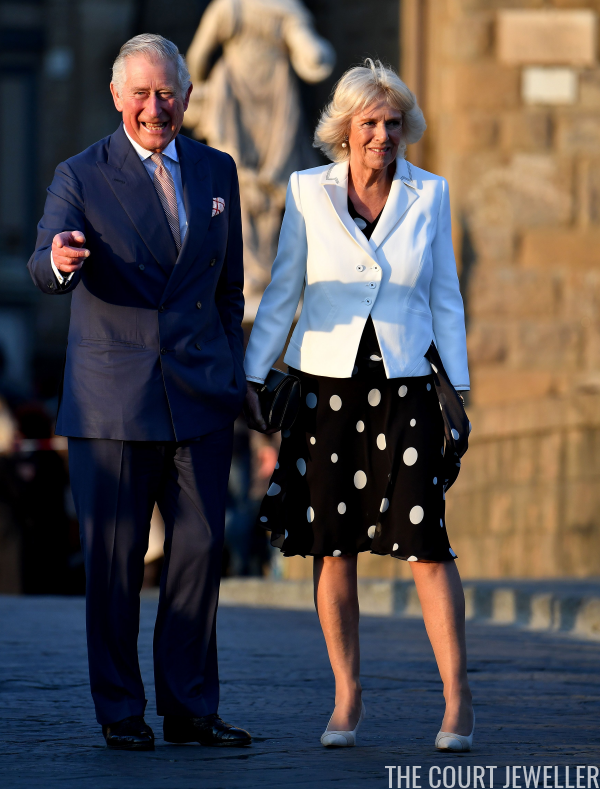 The Prince of Wales and the Duchess of Cornwall embarked on a six-day visit to Italy on Friday. The visit is intended to highlight UK's relationship with European partners in areas including social cohesion, military ties and combating human trafficking. 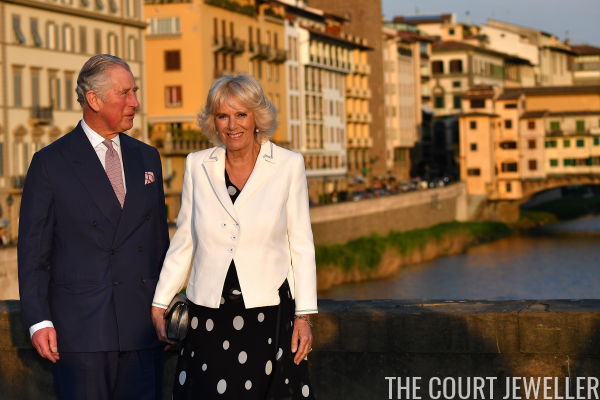 Throughout the day, we'll be catching up on the jewels that Camilla has worn, beginning with the arrival events in Florence. 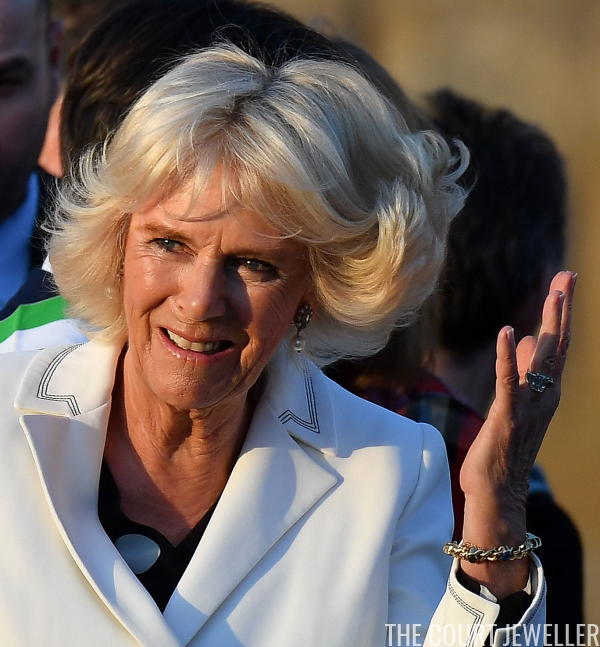 Camilla kept her jewels simple for the arrival, wearing her diamond cluster earrings with the round pearl drops, her engagement and wedding rings, and a gold bracelet with cabochon gemstones. Here's a look at her entire ensemble. 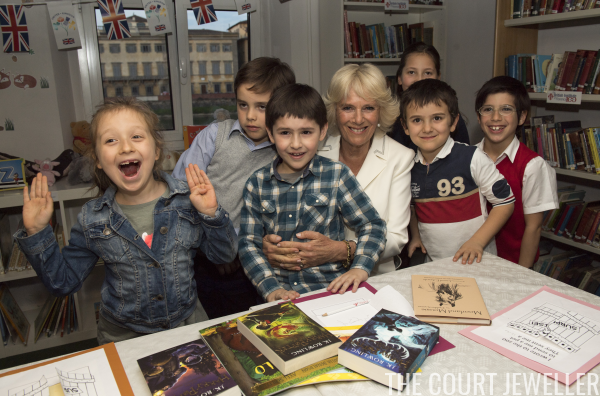 One of the major events of the first day was a visit to the British Institute in Florence, where Camilla met with Italian children who are learning English. Judging by the books on the table, the Harry Potter series is featuring heavily in their language education!